Rest assured. You're in good hands. Clareview residents recently enjoyed a musical evening with David Curry. David is a classically trained Tenor and is half of the classical duo Stellar Voices. 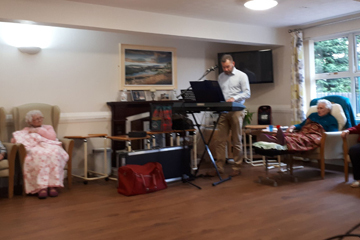 Though his voice is somewhat subdued in volume here in the home, David is a pleasure to listen to and our residents are always delighted to see him returning. 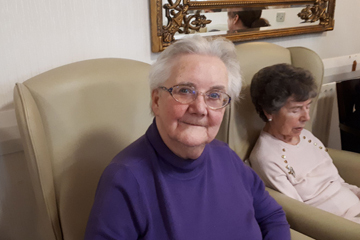 Residents sang along to well known tunes and toe tapping and hand clapping was in abundance. The residents and staff can’t wait to have David back again soon. How many puns can Nurse Manager Sharon get into her Easter at Clareview Update ? Drummaul Residents kept busy these last few weeks. Where do they get the energy?